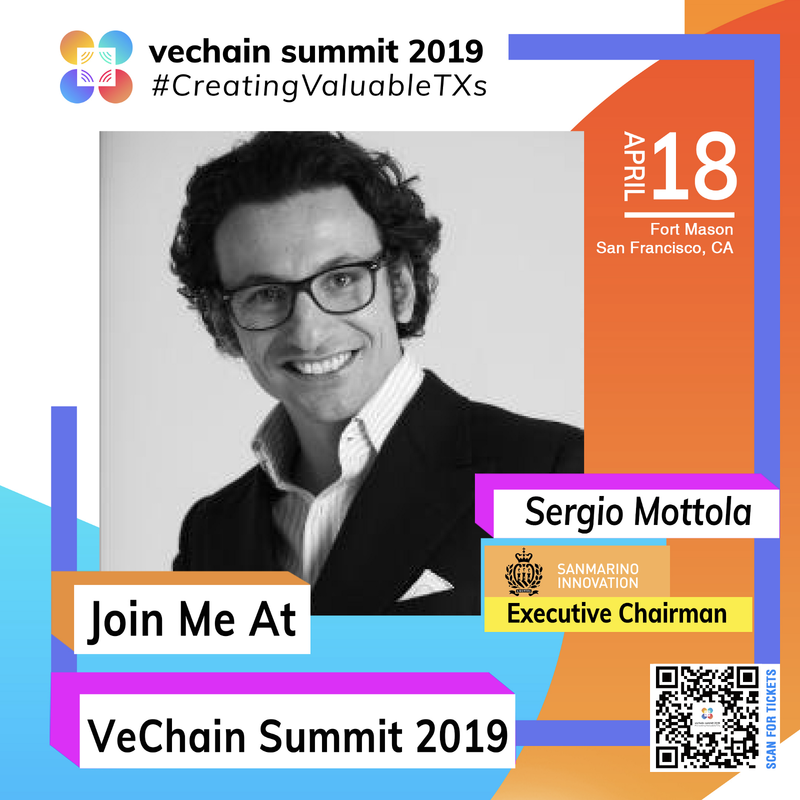 VeChain is delighted to announce that Sergio Mottola, Chairman, CEO and Director of the Scientific Committee of San Marino Innovation, will join the speaker lineup of VeChain Summit. Born in Milan with an Anglo-Saxon educational background, Mr. Mottola is an expert in business strategy, digital transformation, technology and open innovation with over fifteen years of experience abroad before his return to Italy taking a leadership role in San Marino Innovation, the Republic of San Marino Innovation Institute S.p.A.
Sergio is responsible for coordinating and managing complex business transformation projects, with a clear vision and a concrete approach oriented towards the future. He holds a degree in International Business, a master degree in Finance and Strategy at Cass Business School in London, where he continues his research as an Executive PhD focusing on the role of the State in the growth and creation of innovation ecosystems, digital growth strategies, and corporate decision-making. As a government official from San Marino with a strong tech background, he’s the ideal speaker to introduce insights about what San Marino as a country is transforming into, how San Marino will provide legislative support for the adoption of blockchain technology, and how blockchain technology can thrive with the support of San Marino to create value for the real world, and how blockchain technology will reshape the world we know it. San Marino Innovation is a Government Company fully owned by the Republic of San Marino and it has the mission to drive economic development through open innovation initiatives, grow the tech ecosystem and the presence of San Marino as an Innovation Hub internationally. The Institutes prerogative is to advance legislative proposals to the Government achieving various objectives and act as an Authority in the Innovation and Blockchain Ecosystem. San Marino Innovation is also responsible for the Republic’s Digital Agenda and its implementation.